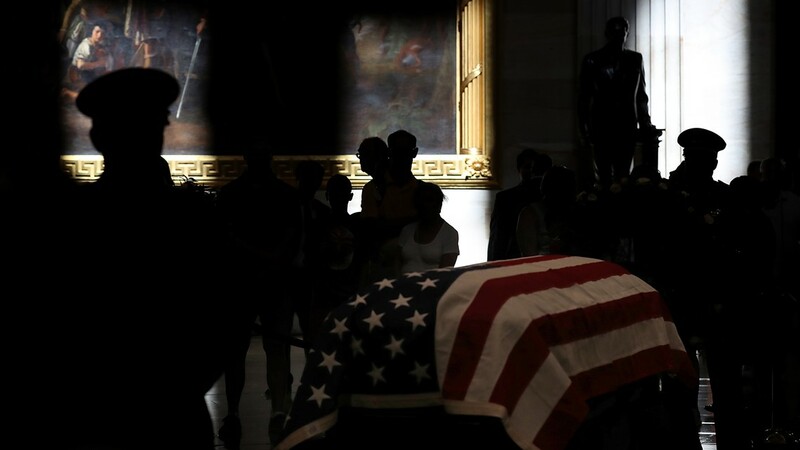 The casket carrying the late U.S. Sen. John McCain, R-Ariz., is carried into the U.S. Capitol Rotunda on August 31, 2018, in Washington, DC. 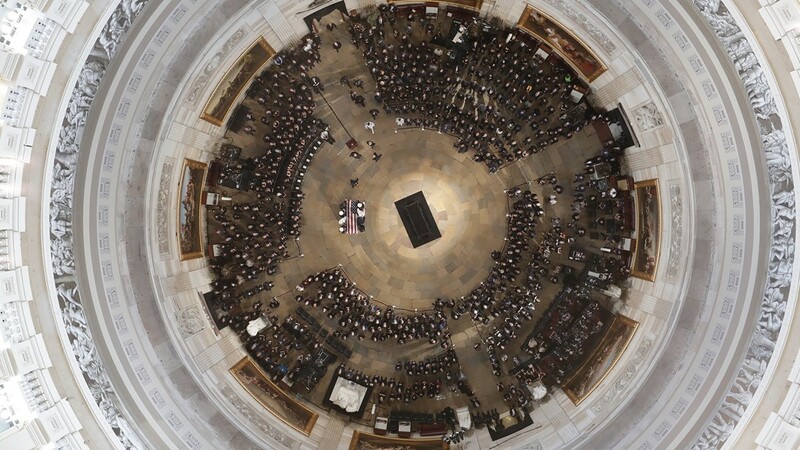 Members of the public file through the Rotunda to pay their respects to the late-Sen. John McCain (R-AZ) as his casket lies in state during a memorial service in his honor at the Rotunda of the U.S. Capitol, August 31, 2018 in Washington, DC. 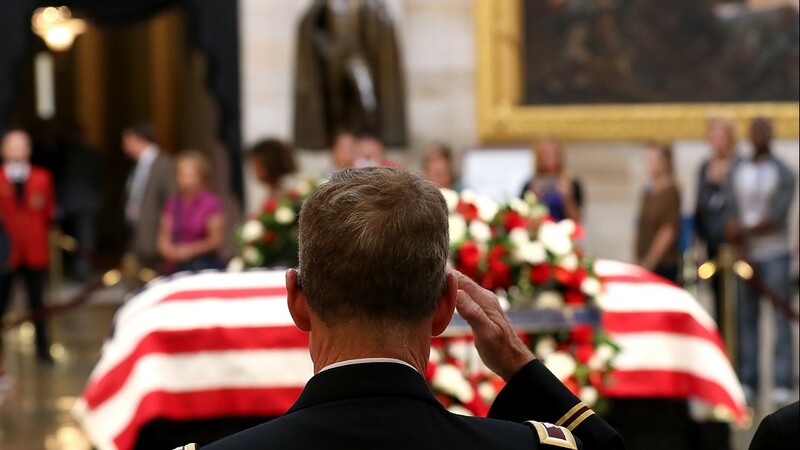 Family members hold their hands over their hearts as the joint service military casket team lays down the flag-draped casket of the late-Sen. John McCain during a ceremony in his honor at the U.S. Capitol, August 31, 2018 in Washington, DC. 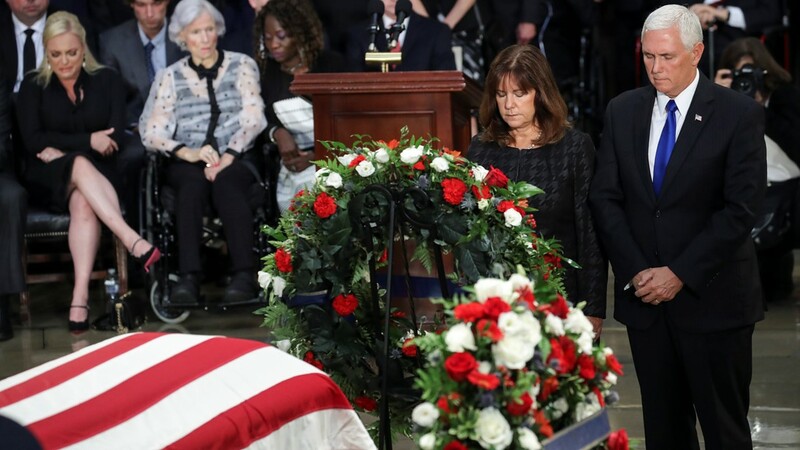 Karen Pence and US Vice President Mike Pence pay their respects at the casket of the late-Sen. John McCain (R-AZ) during a ceremony in his honor at the Rotunda of the U.S. Capitol, August 31, 2018 in Washington, DC. 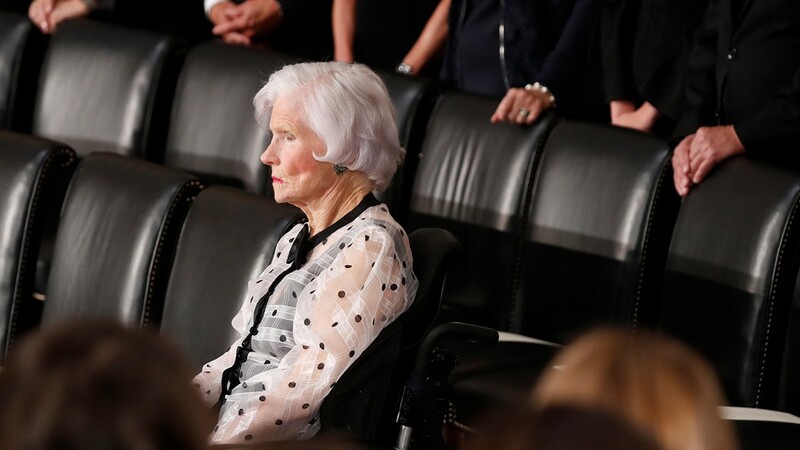 Roberta McCain, the 106-year-old mother of the late US Senator John McCain, pays her respects during the ceremony in the US Capitol Rotunda in Washington, DC, August 31, 2018. 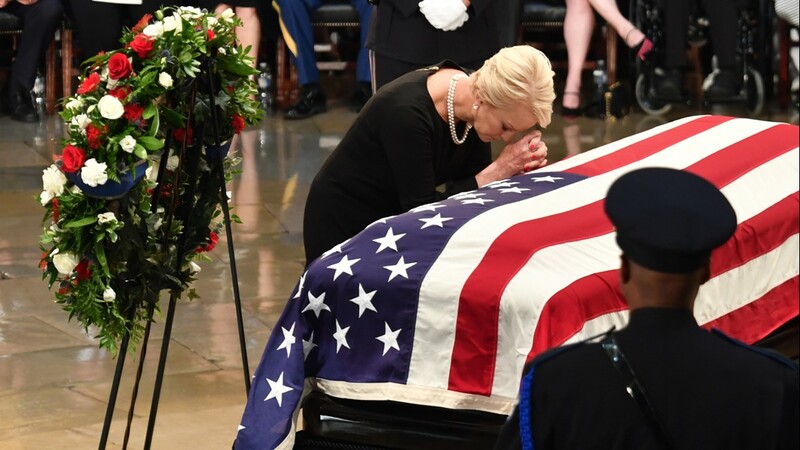 Cindy McCain, wife of John McCain, prays at the casket of her husband at the US Capitol Rotunda in Washington, DC, on August 31, 2018. 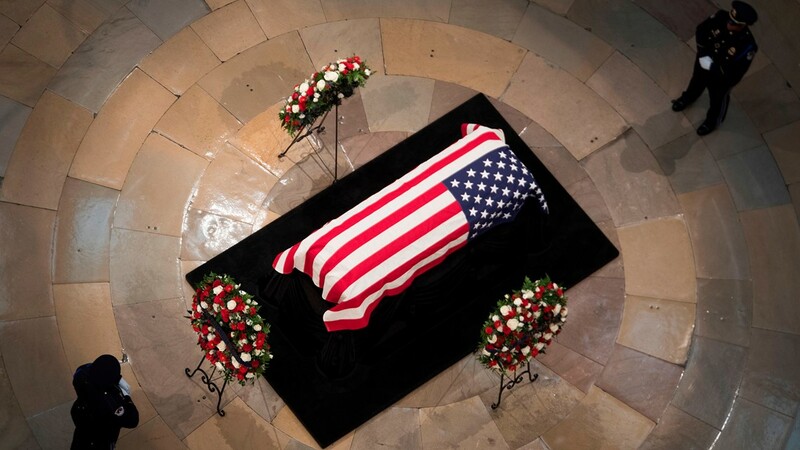 The flag-draped casket bearing the remains of the late US Senator John McCain lies in state at the US Capitol Rotunda in Washington, DC, August 31, 2018. 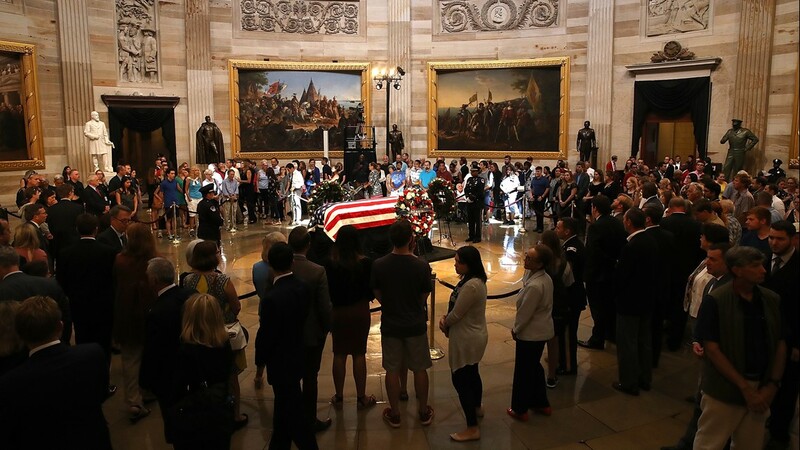 The public files past the flag-draped casket bearing the remains of the late US Senator John McCain at the US Capitol Rotunda in Washington, DC, August 31, 2018. 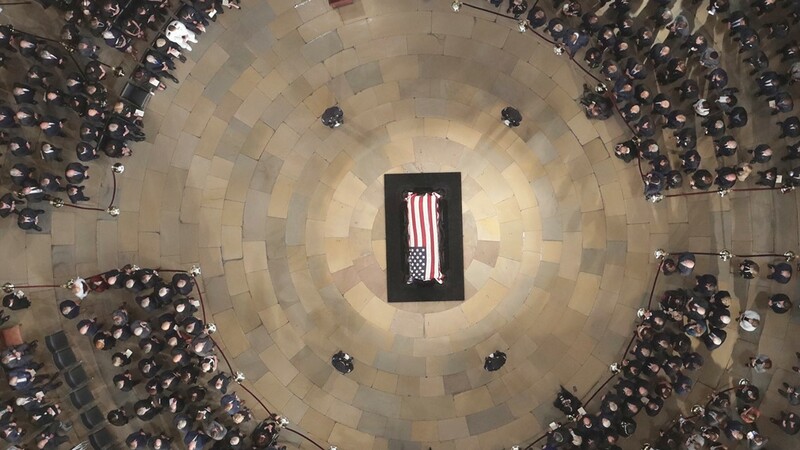 Capitol police honor guard stands next to the casket of the late-Sen. John McCain (R-AZ) as he lies in state during a memorial service in his honor at the Rotunda of the U.S. Capitol, August 31, 2018 in Washington, DC. 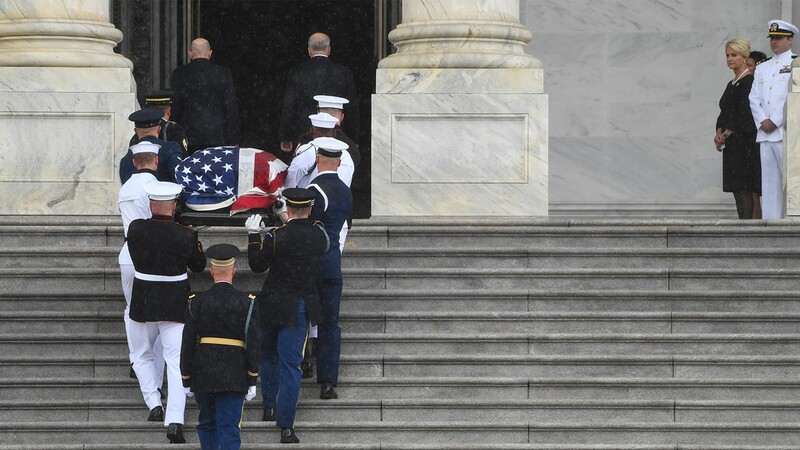 A military honor guard team carries the flag-draped casket of the late US Senator John McCain, Republican of Arizona, at the US Capitol in Washington, DC, August 31, 2018, prior to him lying in state in the Capitol Rotunda. 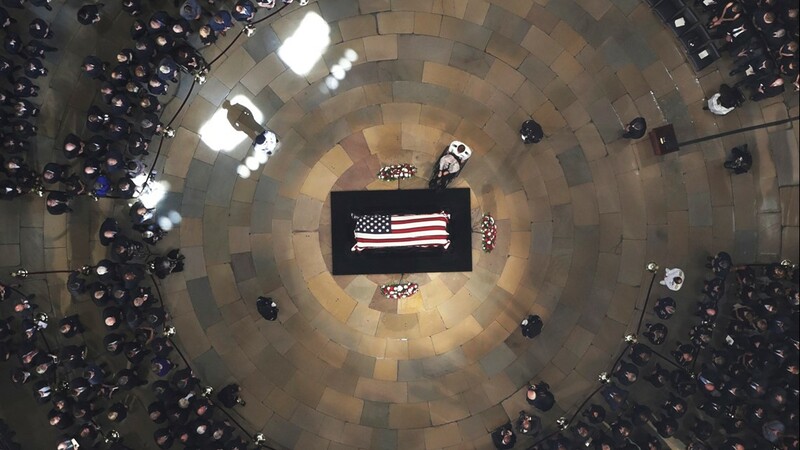 House Speaker Paul Ryan speaks as the late U.S. Sen. John McCain, R-Ariz., lies in state in the U.S. Capitol Rotunda on August 31, 2018, in Washington, DC. 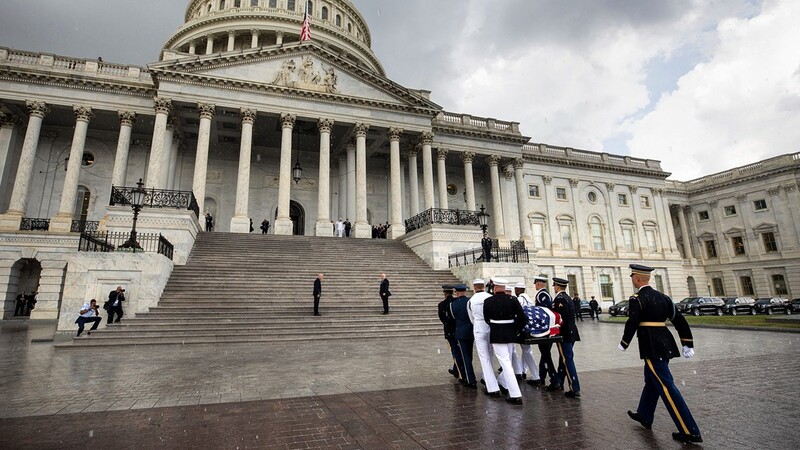 A military honor guard team carries the casket of the late-Sen. John McCain (R-AZ) into the U.S. Capitol August 31, 2018 in Washington, DC. 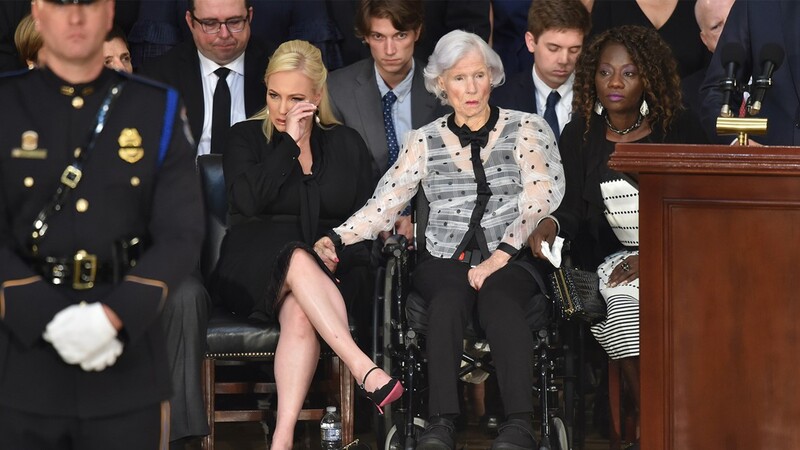 Roberta McCain, age 106, mother of the late US Senator John McCain, and granddaughter Meghan McCain attend the ceremony honoring Senator McCain at the US Capitol Rotunda on August 31, 2018 in Washington, DC. 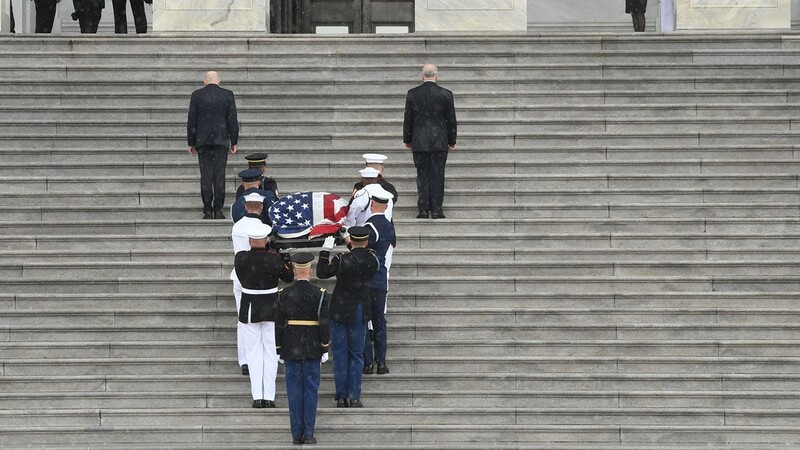 The casket of US Senator John McCain arrives at the US Capitol in Washington, DC, on August 31, 2018. 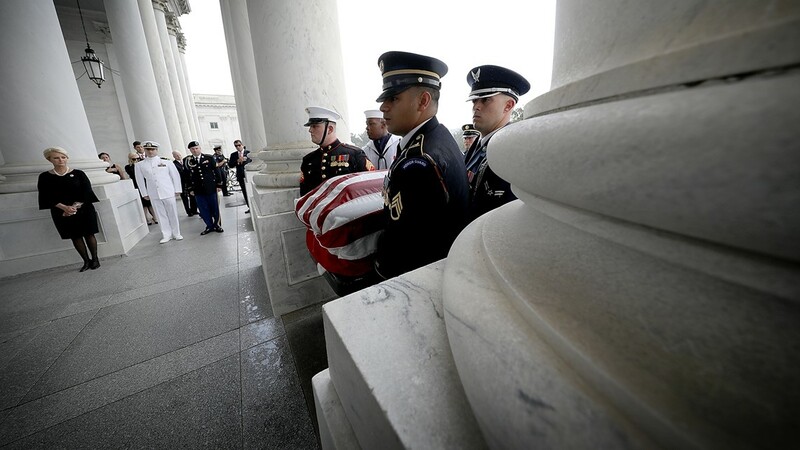 (L-R) Cindy McCain and her sons John Sidney McCain and James McCain watch as the casket of US Senator John McCain arrives at the US Capitol in Washington, DC, on August 31, 2018. 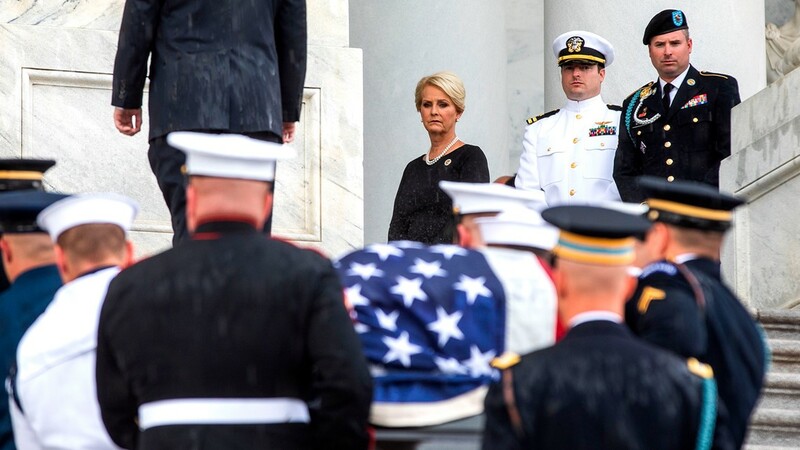 Cindy McCain (L) watches as a military honor guard team carries the casket of her husband, the late-Sen. John McCain (R-AZ), into the U.S. Capitol, August 31, 2018 in Washington, DC. 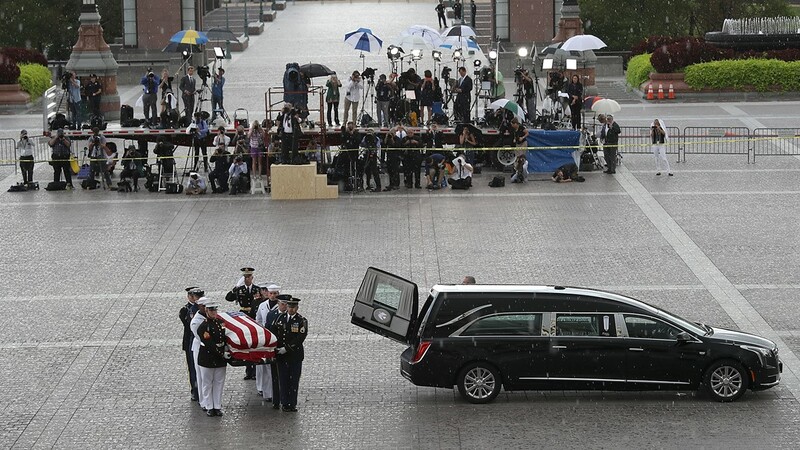 The casket of US Senator John McCain arrives at the US Capitol in Washington, DC, on August 31, 2018. 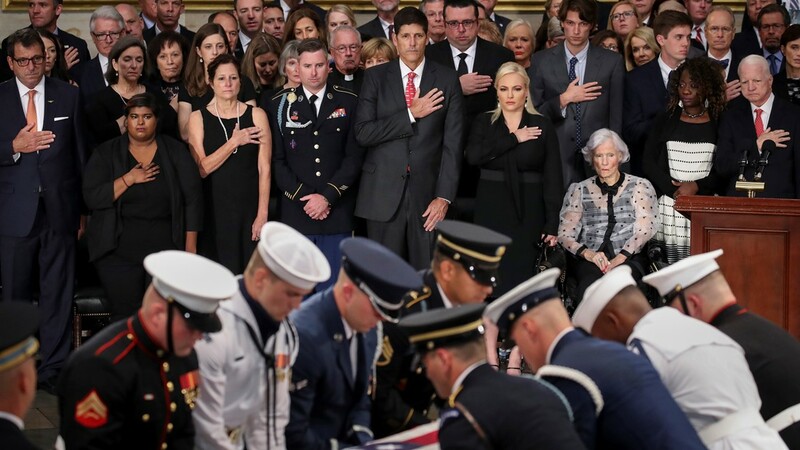 - Cindy McCain and her son John Sidney McCain look on. 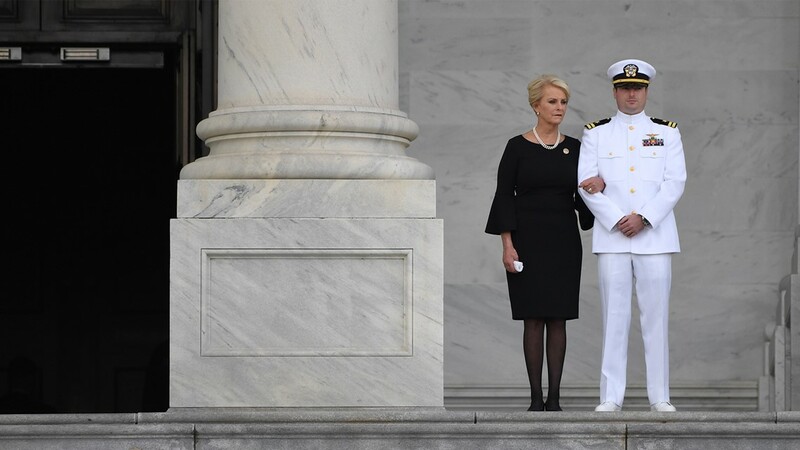 Cindy McCain and her son John Sidney McCain await the casket of US Senator John McCain at the US Capitol in Washington, DC, on August 31, 2018. 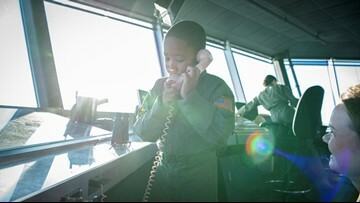 Roberta McCain, the mother of late U.S. 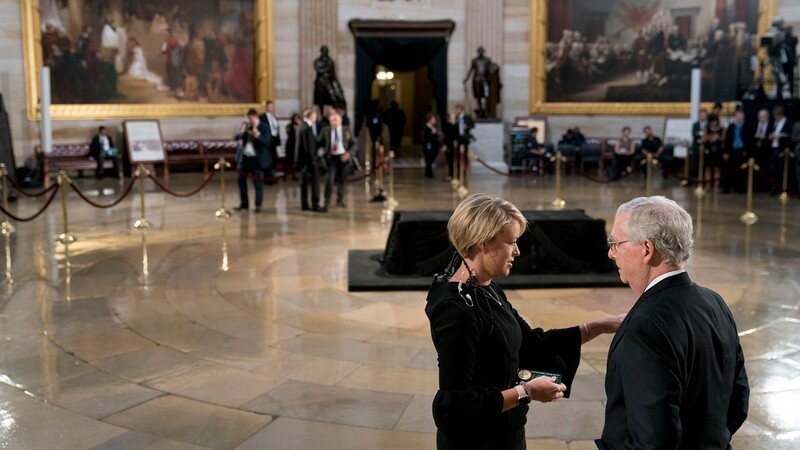 Senator John McCain, is seated prior to ceremonies honoring Sen. McCain inside the U.S. Capitol Rotunda of the U.S. Capitol, August 31, 2018 in Washington, DC. 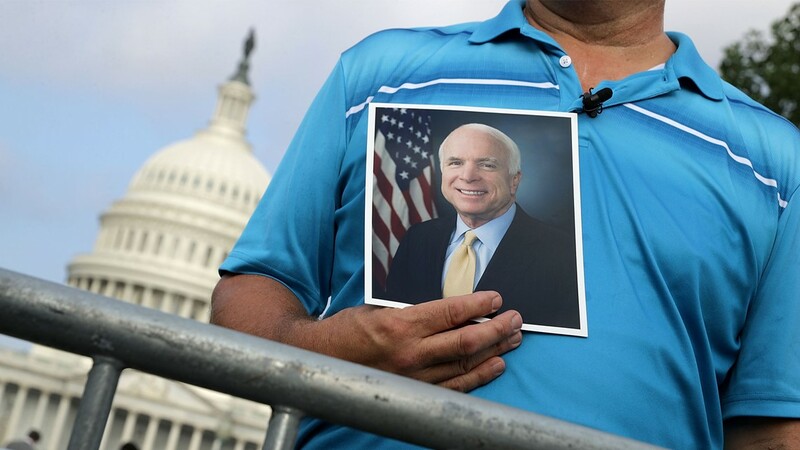 Greg Brock of Myrtle Beach, Florida, holds a photograph of Sen. John McCain (R-AZ) while waiting in line outside the U.S. Capitol to pay respects to McCain when he lies in state later in the day August 31, 2018 in Washington, DC. 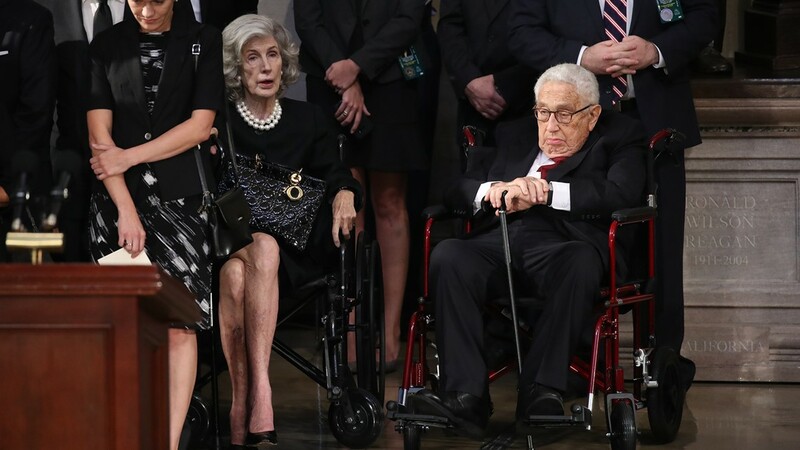 Former US Secretary of state Henry Kissinger (R) and his wife Nancy Kissinger (Center-L) await the arrival of the casket of the late US Senator John McCain inside the Rotunda of the U.S. Capitol, August 31, 2018 in Washington, DC. 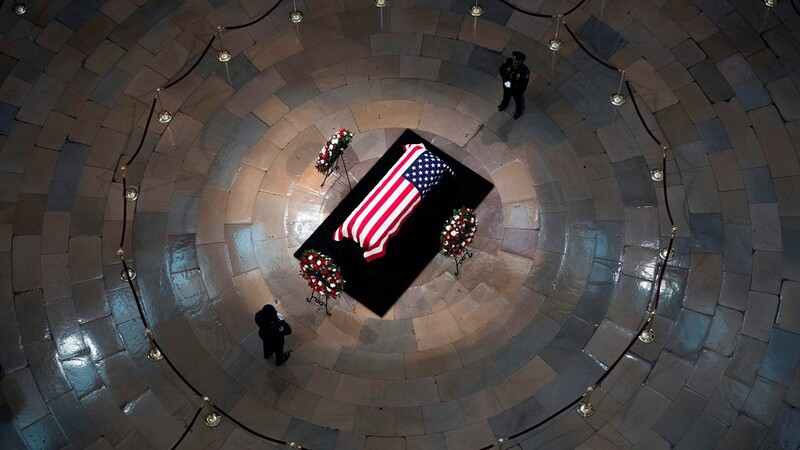 Senate Majority Leader Mitch McConnell of Ky., right, speaks to an aide before the casket of Sen. John McCain, R-Ariz., lies in state in the Rotunda of the U.S. Capitol, on August 31, 2018 in Washington, DC. 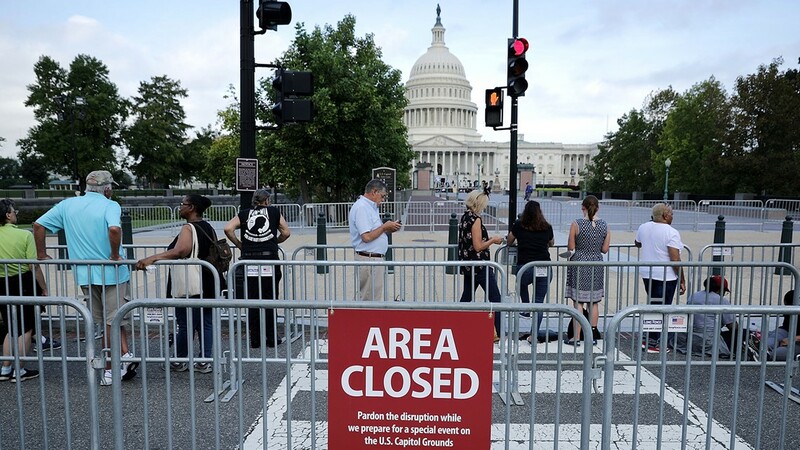 People wait in line outside the U.S. Capitol to pay respects to Sen. John McCain (R-AZ) when he lies in state later in the day August 31, 2018 in Washington, DC. 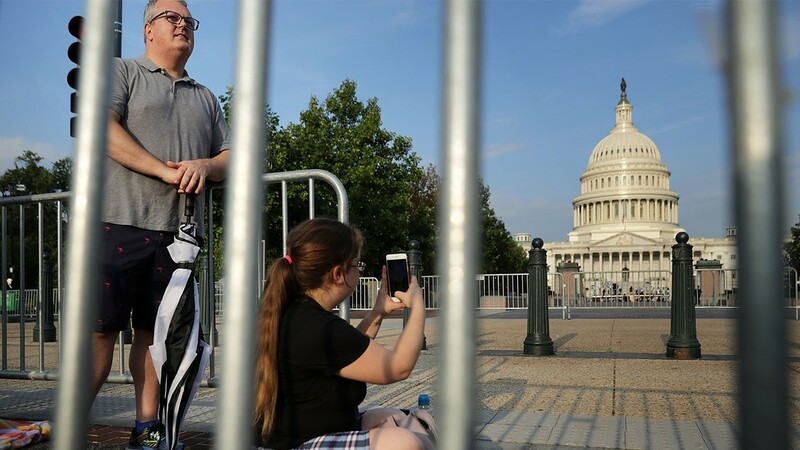 Brian Erdelyi (L) of Richmond, Virginia, and AnnMarie Farone of Indianapolis, Indiana, are first in line to pay respects to Sen. John McCain (R-AZ) when he lies in state later in the dat at the U.S. Capitol August 31, 2018 in Washington, DC. 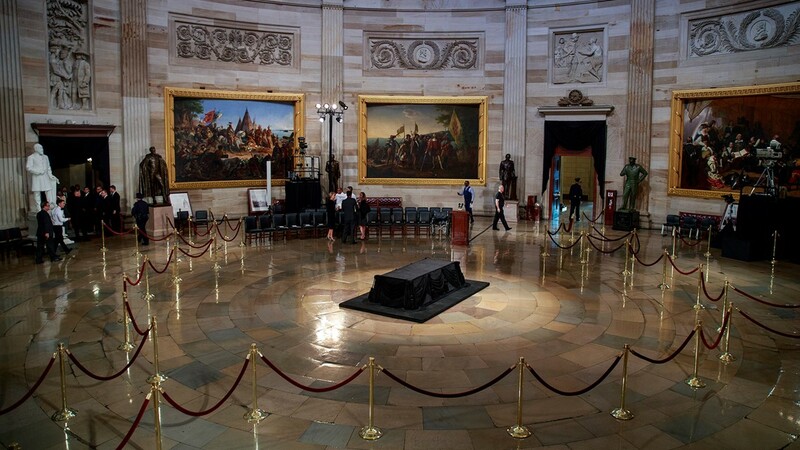 The catafalque where the casket of the late Senator John McCain (R-AZ) will lie in state sits inside the Rotunda of the U.S. Capitol, August 31, 2018 in Washington, DC.